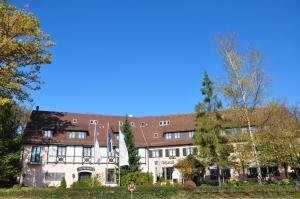 Located in the Vaihingen district of Stuttgart, this historic 4-star hotel offers 2 restaurants, sauna and fitness facilities, and modern conference rooms. Dating from 1783, the relexa Waldhotel Schatten provides carefully renovated, generously equipped rooms and suites with wireless internet access. Guests can relax by the fireplace before trying the restaurant’s widely appreciated specialities. The Solitude Bar offers a fine selection of wines, spirits and non-alcoholic beverages. There is a private underground garage at the Schatten Waldhotel, and free public parking at the hotel.